The boys made calm down jars the other day. After Ben had a few spectacular meltdowns at night, I asked him if he thought using a calm down jar would help him out. 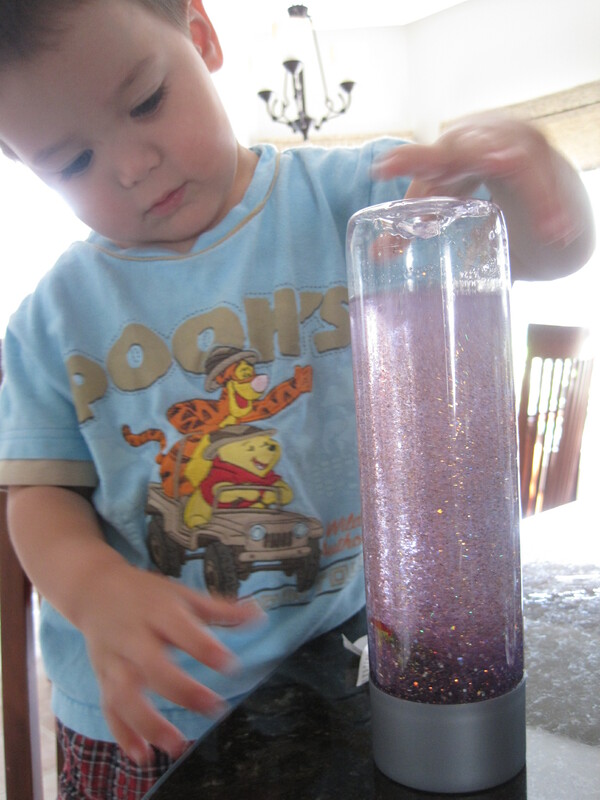 I told him that he could shake the jar and watch the glitter settle. As it calmed down, he could try to calm down too (like a sneaky time out). He said yes, he wanted one. He understood the concept and agreed it was a good idea. We followed the directions at this site, except we added two small dinosaurs for Luke and one small dinosaur and car for Ben, instead of a Lego man. Pouring in the glitter glue. 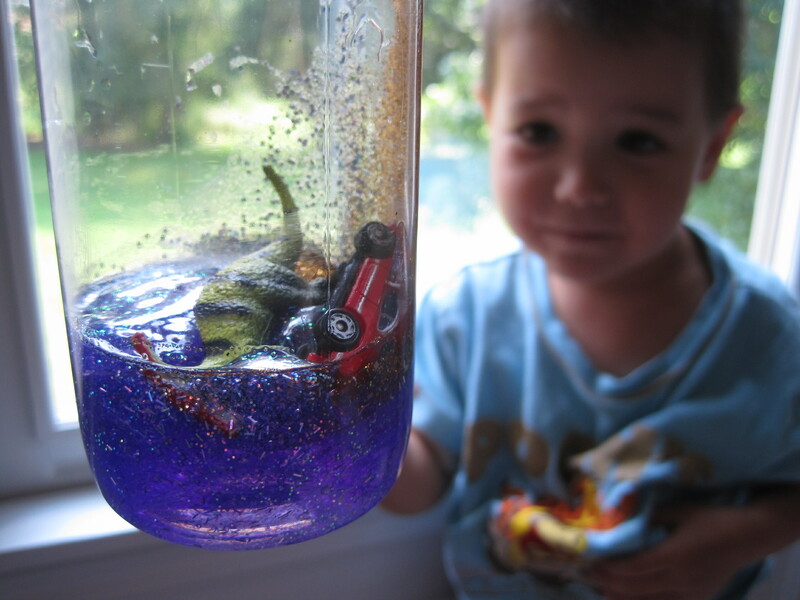 We have yet to see if the jar really works for Ben (for Luke it was just a cool craft). So far it’s been a few days and he’s only gotten mildly worked up (ironically over his calm down jar either being in Luke’s possession or not being able to find it). Shaking the jar does seem to help him control his mood, as it gives him an outlet for his frustration and then the jar is soothing to hold. 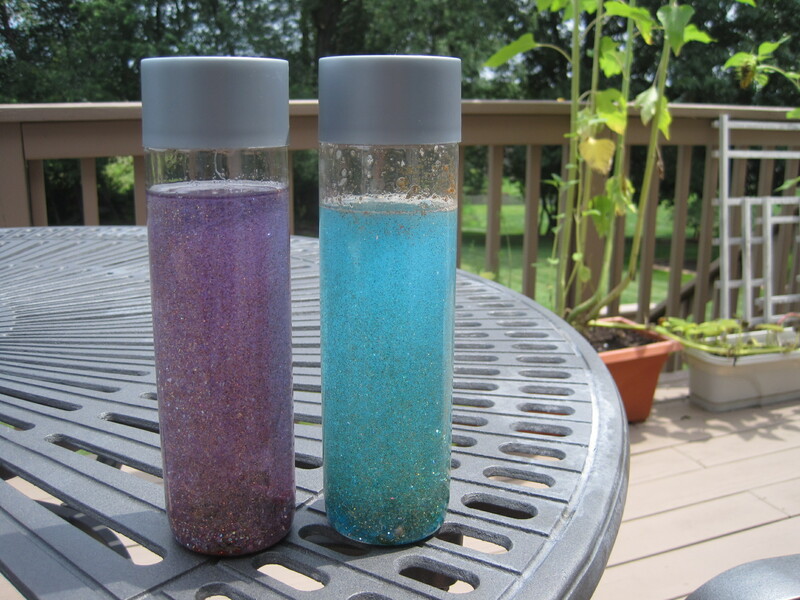 We must’ve put too much glitter glue in them, because our jars don’t actually calm down over a few minutes. It takes a solid 8 hours for the glitter to settle. Either way, they look neat and so far Ben loves his. 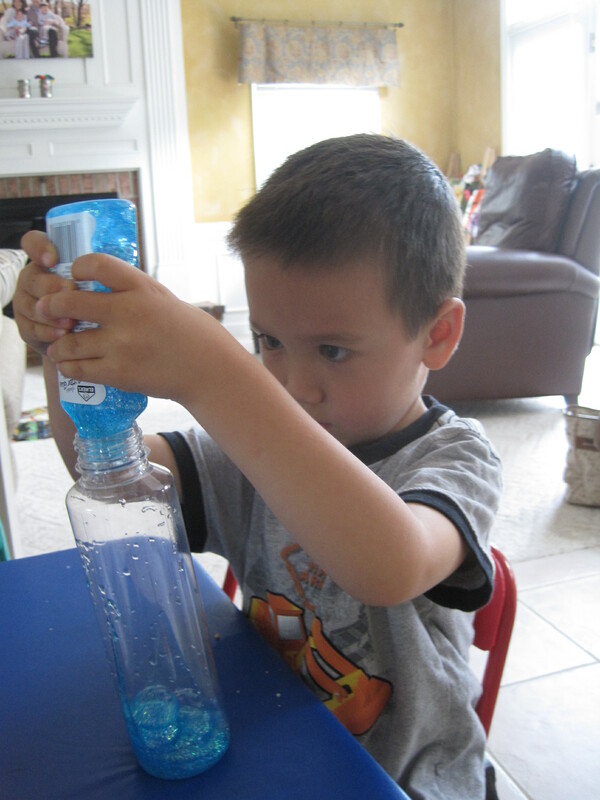 This entry was posted in The kid v2 and tagged craft, preschooler, toddler. Bookmark the permalink. Lovely! So happy you liked them! They turned out great! Thank you! Yes, I am so glad you blogged about them! Great idea to add other mini items to customize them instead of just a LEGO figure!